Not a day goes by that we don’t hear about cybersecurity threats – be it data breaches, phishing scams, ransomware, and viruses – but what about protection against someone remotely accessing your webcam? After all, Facebook founder Mark Zuckerberg and former FBI Director James Comey both put tape over their computer’s camera when not in use, so perhaps you should, too. If you’re not sure what to do, the following are a few precautions you can take to minimize the odds of this happening. Cameras are now found in multiple devices, including laptops, tablets, smartphones, and more. If you’re using an external webcam – that is, one that plugs into your computer’s USB port – only connect it when you need it. 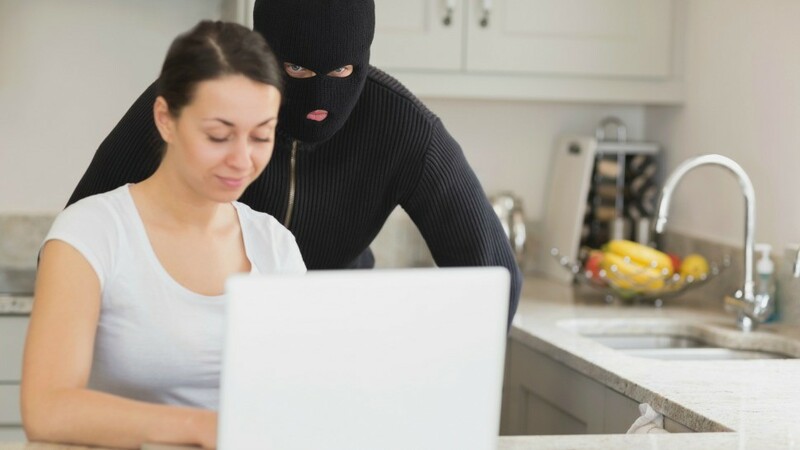 Yes, it can be a pain to remember to plug it in whenever you want to Skype or FaceTime with someone, but at least you’ll know 100% noone is spying if there’s no camera connected. Some external cameras have a small cover you can close over the webcam lens, so be sure you take advantage of this when you’re not using it. If your webcam doesn’t have this, you can point it to the ceiling until you need it (but that doesn’t mute the microphone) or place a small piece of electrical tape on the front of the webcam. But don’t place it directly over the lens or else it could leave a sticky residue. You can also buy little stickers or covers to place over your laptop’s lens. If your laptop or desktop has a built-in webcam, be sure to have good computer security software installed (which you should have anyway, of course). A strong security suite includes antivirus, anti-spyware, a firewall, and other tools to keep the bad guys from getting in. It’s critical to keep the security software up to date. Many webcam hackers use Trojan horse malware to secretly install and run remote desktop software without your knowledge. You may think you’re downloading one thing, when in fact it’s carrying a hidden payload. Don’t click on attachments or any suspicious links in an email, text, or social media message. Some web browsers also notify you if your webcam is being activated and you may be prompted to agree. Be sure your wireless network has strong security settings and a good password – not the default one that came with the router — to prevent outsiders from accessing your Wi-Fi network without your consent. Resist using free, unsecured public Wi-Fi hotspots in cafés, hotels, and airports. Another tip is to go to the webcam’s settings/options and enable some kind of notification when it’s being used, such as a small light that turns on near the webcam or a sound alert – if it doesn’t do it already. Most will have a small light illuminate when activated. If you need to have your computer repaired, take it to a trustworthy source and then ensure remote access programs aren’t on your laptop or desktop you didn’t install yourself. If you find something, immediately uninstall it and bring it to a trusted source. On a related note, be cautious about where you solicit remote tech support. Don’t let a technician take control over your computer to help you, unless you fully trust the source.